Compare funeral directors in Bridgwater and read verified reviews on the UK’s online funeral resource. 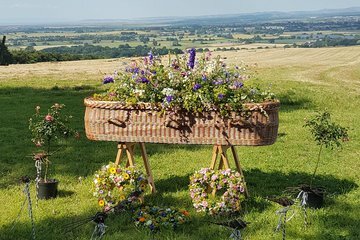 Use Funeral Zone Listings to find local funeral directors in Bridgwater that meet your specific needs. You can organise the search results by ‘best rated’, 'nearest' or ‘most reviewed’. There is also a handy Google Maps feature so you can see exactly where each funeral home is in relation to each other. Wallace Stuart were very caring,helpful and professional at all times.their attention to detail meant that we could concentrate on other things,knowing that the funeral in its entirety would be taken care of. These were the kindest, most understanding, most helpful pair of ladies that I have ever come across. Nothing was too much trouble for them and they made the awful journey that was burying our son as easy as it was possible to make it. I thank them both from the bottom of my heart. The service we received from Wallace Stuart was excellent. They were both caring and efficient. We felt in very safe hands and this was proved right throughout the time we dealt with them, particularly on the day itself. Gentle, efficient, and good personal attention. Many thanks at this difficult time for you help. Wallace Stuart were so kind and compassionate from beginning to end.